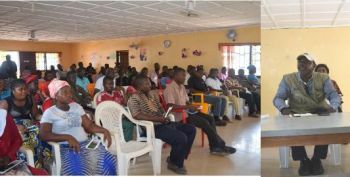 The Ministry of Commerce and Industry (MOCI) has ended a 2-day engagement with business people in Bong and Nimba counties, aimed at helping them to improve their businesses through the Small Business Administration (SBA) and to address some of the challenges, among others. 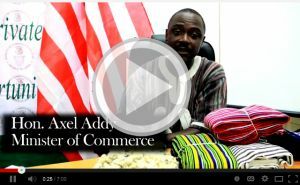 The SBA is intended to assist, promote and foster the interests of Micro, Small and Medium-sized Enterprises (MSMEs) by ensuring that they receive their fair share of procurement contracts for the provision of goods and services to the government, the Minister of Commerce and Industry, Axel M. Addy has said. Minister Addy was accompanied by his deputies minister and inspectors, including Franz C. Sawyer, Deputy Minister for Administration; Stephen Marvie, Deputy Minister for Trade; Andrew Paygar, Deputy Minister for SBA; Mohammed Turay, Assistant Minister for Industry; and Stephen Mambu, manager, National Standards Lab, among others. “Every year we visit various counties to know those things that the ministry can improve on in order to enhance trade for our business people, because we want them to grow and start to do business at a large scale. 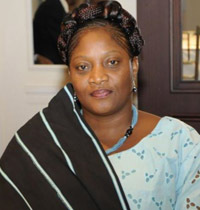 We also educate and encourage them to be tax compliant, which can help them to raise money,” Minister Addy said. 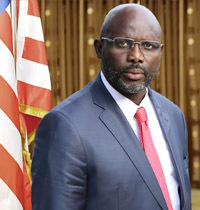 However, the business people in both counties during the engagements, complained of substandard goods on the Liberian market, huge payment of taxes, purchasing of rotten fish from wholesalers in the counties, and the soaring foreign exchange rate, considering that many of them operate in Liberian dollars. Minister Addy said his ministry will continue to work with all businesses and partners, including the Ministry of Finance and Development Planning (MFDP), Liberia Revenue Authority (LRA) and the Central Bank of Liberia (CBL) to handle some of the issues raised as the commerce ministry cannot address them alone. The MOCI’s team, headed by Minister Addy also visited several businesses, including Mama Liberia Water Company in Ganta; PANZSIR Cosmetics; Maweseh Education Support Incorporated; Service Centers, among others, in Ganta and Gbarnga. “CBL is working to bring some level of stability in the exchange rate as the issue of forex exchange remains cardinal. The Minister of finance, the Governor of CBL and Commerce meet regularly now to tangle the situation and to see that those who bring in primary commodities impact the general public,” Minister Addy said. A chalk producer has received her first contract from the Ministry of Education (MOE) to provide chalk for schools and has now engaged in employing people. These are the signs that tell people that Liberia is improving and will continue to do more.” He said the beauty of development creates an environment for the transformation of businesses, referencing the paved road from Monrovia to Ganta, which is helping many business people. During the MOCI’s visit across the border from Ganta to the Guinean authorities, particularly the security, Minister Addy said he was pleased with the level of trade existing between Liberia and Guinea and will continue to uphold peaceful trade. “We want to applaud you for the collaboration given to our business people and Liberia security which demonstrates excellent leadership and commitment to fostering peace. We also want to assure you that the business people and government will continue to work with you,” Minister Addy told the Guinean security. The Commerce official recounted Liberia and Guinea’s relationship that goes far beyond the current generation, stressing “both countries are ready to maintain our forefathers’ relationship for future generations as well.” Minister Addy said he was delighted to see a cordial working relationship between Liberian and Guinean authorities at the border, which facilitates trade in an unrestricted way and also provides security for both countries.